Look out the window and see the weathervane on the nearby carport roof. To the left, you will see the garden and the corral. 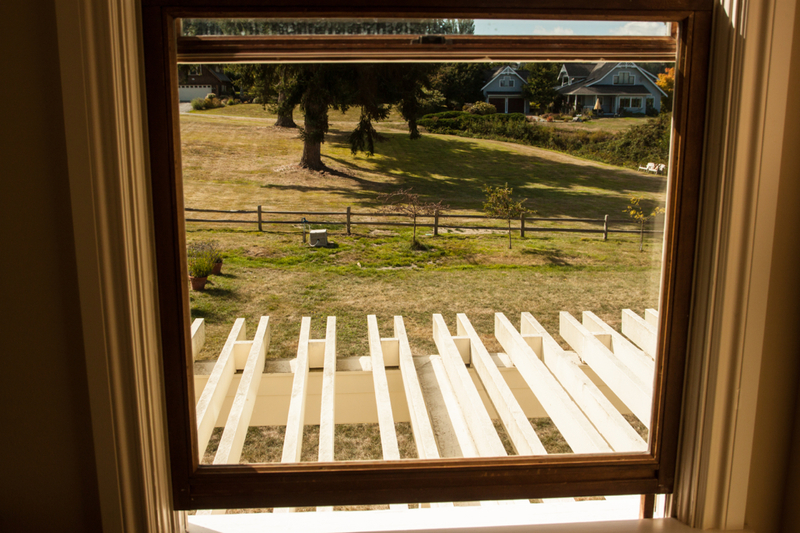 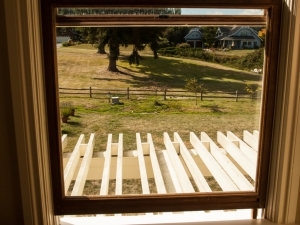 From the other window, you can see our grounds and the neighbor’s yard with a picturesque barn beyond. 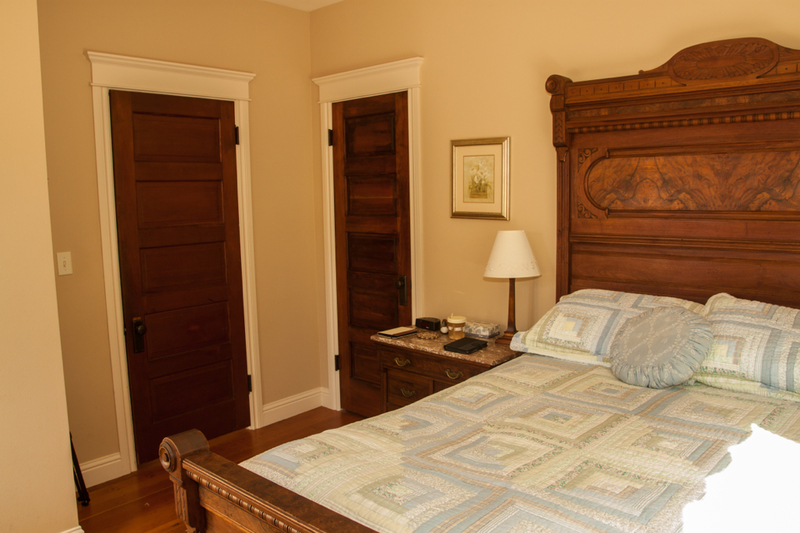 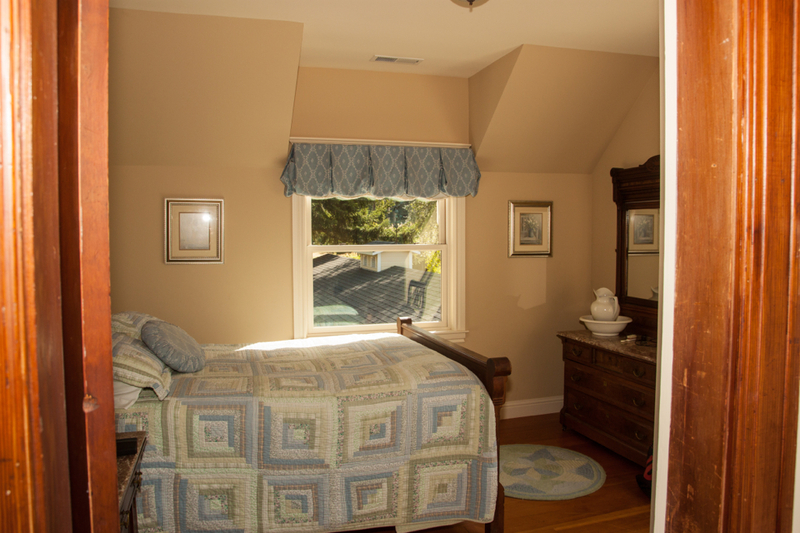 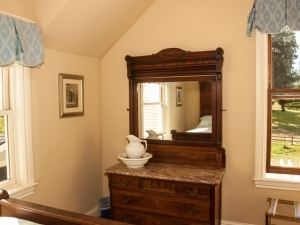 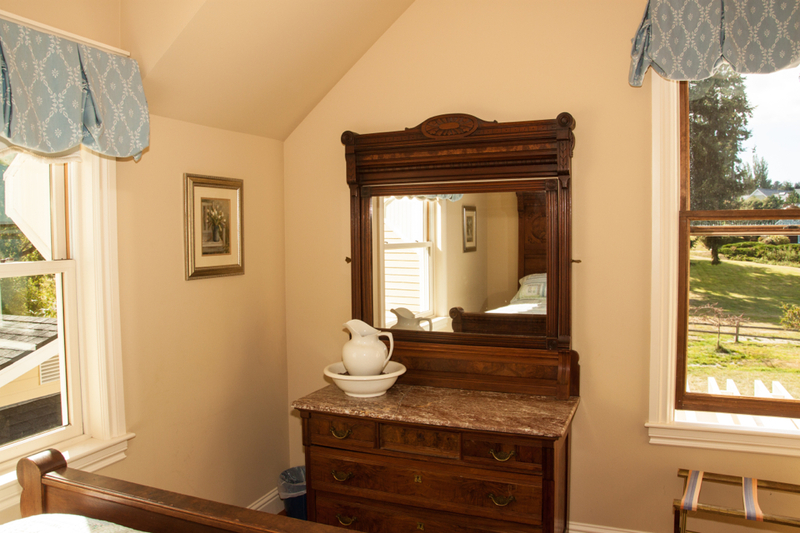 This room features a beautifully restored antique bed.